J. Phillip Thompson III, an insider in the Dinkins administration, provides the first in-depth look at how the black mayors of America's major cities achieve social change. Black constituents naturally look to black mayors to effect great change for the poor, but the reality of the situation is complicated. Thompson argues that African-American mayors, legislators, and political activists need to more effectively challenge opinions and public policies supported by the white public and encourage greater political inclusion and open political discourse within black communities. Only by unveiling painful internal oppresssions and exclusions within black politics will the black community's power increase, and compel similar unveilings in the broader interracial conversation about the problems of the urban poor. 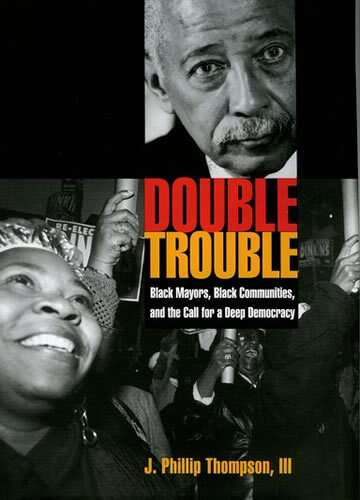 Tracing the historical development and contemporary practice of black mayoral politics, this is a fascinating study of the motivations of black politicians, competing ideologies in the black community and the inner dynamics of urban social change.